This offer is no longer active. 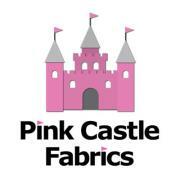 Please see the e-courses page to register for current online sewing classes! This past year, I taught a series of online sewing classes–and loved, loved, loved every second of it. I thought that teaching online would be a cool complement to teaching in person, but I learned that it’s so much more: it’s a new way of sharing something I love, a hugely inspiring chance to connect with people, a way for people who can’t otherwise take a sewing class to learn to sew and quilt and create on their time and in their home. It’s been completely amazing and the most fun I can remember having in a long time. Next year, I have a whole year of classes planned, and I can’t wait to share them with all of you! 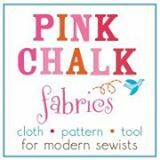 I have been so grateful to have made some real friends through these classes, and to have had students who were so pleased with learning to sew online that they took multiple classes–we spent a big chunk of 2011 together, and that meant so much to me. This last year was tough! Looking forward to hearing from people each day and each week made some of the tough times a little easier. I’m totally hoping to have the same experience in 2012: to offer classes that fill a need that isn’t being met, to get the chance to teach something people are really itching to learn, and to make a bunch of new friends in the process. These are online sewing classes, but they create such a cool sense of community, and when folks take more than one, there’s this awesome continuity. Can you believe I had two American students living in Oslo who met each other in person and now are sewing together on a regular basis–all because they took an e-course together? How cool is that? Each sewing e-course is taught in a password-protected online class space using video, audio, PDF downloads, and plenty of personal interaction. I teach one class at a time and cap enrollment to ensure that students really feel as though they’ve had the chance to ask questions and get to know me and one another, and to really dive into the sewing at their own pace. I have some cool new things up my sleeve for 2012, including a DVD option so you can review the material at your leisure after the course is over, and I’m itching to get going! In hopes that even more of you can take all the sewing classes you’d like to take, I’m offering a deal through the end of the year: take ANY of my 2012 e-courses for just $99! Most of these classes are priced between $109 and $179–buying one early saves you between 10% and 45%. That’s HUGE! By buying an advance ticket, you’re locking in a super low price but also giving yourself the freedom to pick and choose the classes you want to take–you can even share your classes with someone else and take a class together! Or just give it as a gift–how awesome would YOU be? Here’s how it works: click through the link below. Put the $99 E-course deal in your shopping cart. This is not a down payment–this is the FULL PRICE of the class when you buy early! Adjust the total number of e-courses–as many as you like at this price, with no limit (not only do I want you to be able to take lots of classes at a super steep discount, but I want you to have the freedom to share the love, so I won’t be limiting the number of class passes you can purchase; you’ll need one class code per class you take in 2012). You’ll receive a unique class pass code, which you can save and redeem for yourself, or can give to someone else (there’s even a gift certificate option that you can print and stuff in stockings or email to the one you love). When the class you want registers in 2012, redeem your code! Easy-peasy! And who knows? Maybe I’ll sneak another one or two in there, just for fun. This is the most fun! I got to meet people, and Deborah is so great. It’s like taking a class in person, but in your PJs–I can’t say enough good things about this e-course! Indeed, I would…take another WhipStitch course again! [Sewing with Knits] taught me to overcome my “fear-o-knits” and I’m really quite pleased about that. Thank you SO much for everything, Deborah! I cannot tell you how much my confidence has grown since starting the essentials class. You are an excellent teacher…I hope to be back for more classes in the future. Let’s make 2012 the year we all do the sewing we’re dreaming of, shall we? 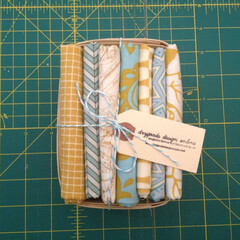 Grab your 2012 Sewing E-Course Class Pass and lock in your spot! Class Pass includes: pre-paid registration for ANY Whipstitch online sewing class in 2012, plus all materials and DVDs included with the course; guaranteed reserved space in the class with no chance of being blocked by a sold-out class; printable/emailable gift announcement so you can give the class pass to someone awesome; a special place in my heart! This price is good today through December 31, 2011 and replaces the early bird discounts I offered in 2011. You’ll need to purchase one class pass per e-course you take in 2012. 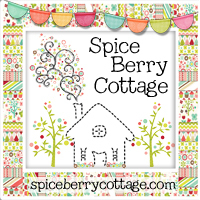 ← LIVE Quilting Event on Saturday! Oh, yay! They really are a lot of fun–I’m not just saying that. It’s so cool to see the same project done in so many fabrics by people so far apart geographically, but who all really share the same interest and desire. Hoping to see you soon! Yay! Can’t wait for another course! I’ll be signing up for sure! Hooray!! Super looking forward to having you–I think next year’s classes are going to be really fun, and am working to hit some skills and types of sewing that we haven’t really done yet. Can you believe it’s almost 2012 already?? See you soon! Oh… what a bargain! I absolutely LOVED the several e-courses that I took in 2011! Your courses changed my life.. I know that may sound extreme but, I gained SO MUCH knowledge and confidence… and new friends. I have really missed not being in a course this last month…. Oh, Zoe, you made my day!!! I’m genuinely delighted to hear that you enjoyed them so much–I, for one, have loved, loved seeing how much your sewing has progressed and how amazingly your skills have grown this year! Here’s hoping I’ll get to spend time with you in 2012–I’ve missed seeing all your lovely things pop up these past few weeks! Do you think you may slide in a online serger course? I’m working on it! I can’t make any promises, but if I can get it together, would probably run in July or December. what a great deal! I loved the online course I took this year. And a whole class on PANTS?? YES. My only request is that you also offer that in person at the store. Oooh. And I *love* the DVD idea. I found life got in the way of sewing at times and I would love to have the videos you posted after the class was over. Great idea! You have such an amazing store! 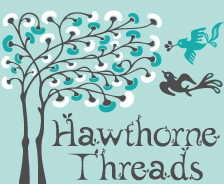 I visited Whipstitch this weekend and featured it today on my blog. I’m LOVING the fabrics I purchased. My little girl is going to look adorable all year long! Signing up todayI Your First Modern Quilt was such a fabulous class. I’d miss it…so 2012 is looking better already! On to home dec!!! I see pillows and shades for all my kids!! I am super interested in taking the “Pants” course. Unfortunately, with my crazy teaching schedule, I can really only take it during the summer–any chance it will be offered then? Oooh, Nicole–I’m just now seeing this comment! The Pants class is scheduled for early August through early September. Any chance that would work for you? Would love to have you there! I loved the two courses I took last year and LOVE that you did a DVD for one of them (got it about 2 weeks ago – woot!). I’ve never done home dec and I often find myself wishing I could just make the bedsheets or table napkins instead of paying huge money for something that isn’t quite what I wanted. Oh, great offerings! Does the 5-piece wardrobe class also include making a pair of pants? It DOES! We’ll go into a lot more detail in the Pants class than we do in the 5-Piece Wardrobe, naturally, but we’ll do a lovely and flattering pair of pants in that class, too. Hope you can make it! I’m really interested but I’m not from US.. I emailed you a reply, too, but wanted to follow up: the class is taught all online, but there is no requirement that you log in at a particular time of day (other than the live chats, which are optional). You can check in as often as you’re able (though I encourage you to make time to join in once a day for the five weeks we’re in session). I love having international students, and have almost never found the time difference to be an issue at all! Let me know if you have other questions, I’d be happy to answer them! I bought one through paypal, got the paypal confirmation, but nothing from you yet. Just wanted to make sure it went through Also, will there be a schedule going up soon for when the classes will be offered? YES! I got your registration, have JUST THIS SECOND gotten the internet up and working at our new house, and am catching up sending out confirmations. A list of dates and order of classes will be included to all the folks who pre-registered so you can plan your year! 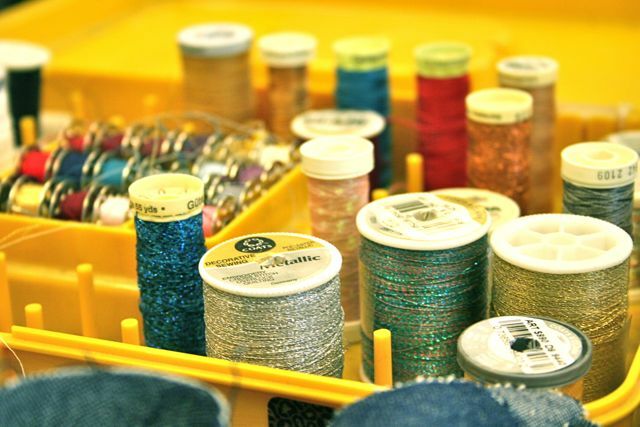 Will the Sewing Essentials class cover much of what will be taught in Intro to Sewing? I am a beginner but need the flexibility of the e-course if you think Sewing Essentials will get me started. The Essential Sewing class does cover much of the same territory as the Intro class does live–if you can’t make the live class, I really encourage you to take the Essential class online. It’s SO much fun, and is a really great class (if I do say so myself). Let me know if I can answer other questions for you! 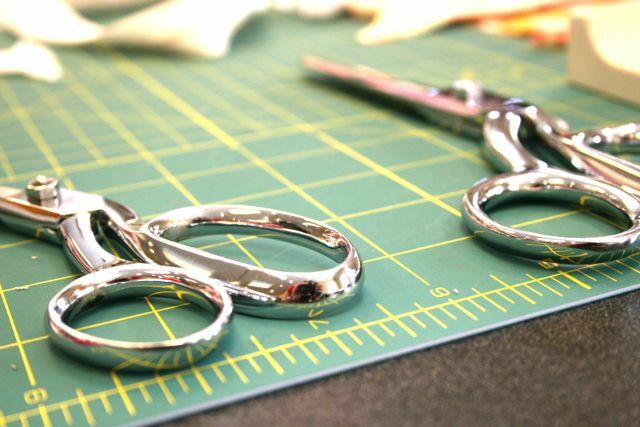 Could you post what kind of sewing skills you need to have for each class? I’m currently taking (finishing) the quilting class and I’ve loved it. I just want to make sure I don’t get in over my head as I am just a beginner sewer. The Essential Sewing course is the true beginner, starting-from-scratch class. All the other e-courses are designed for “advanced beginners”–folks who have some experience but are looking to build confidence–to intermediate stitchers, with the exception of the Pants class (which is meant for intermediate for advanced folks with some experience sewing clothing). Hope that helps, and would love to have you back again in 2012! I think you could handle all these classes, but might caution you to hold off on the Pants just yet–that one will take a little more know-how than you might feel you have right this second. Of course, it won’t be until August, so who knows how much you might have learned by then!